Off Gosnold Road — DESIGN ASSOCIATES INC. 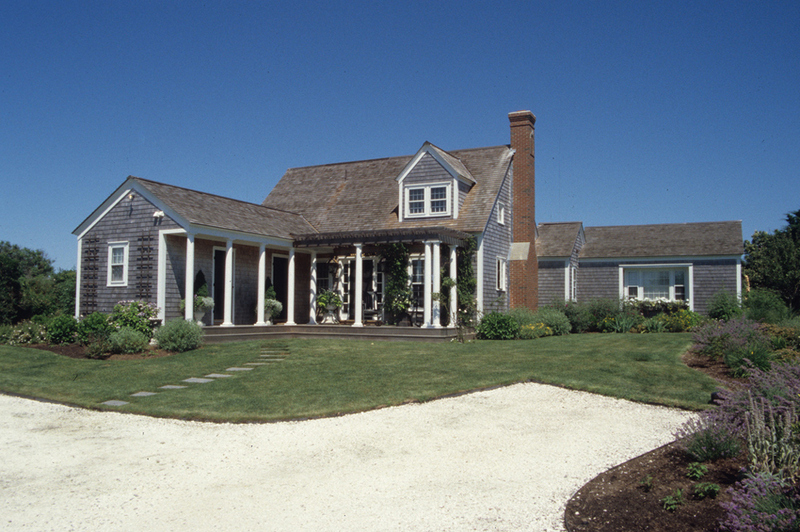 Located off Cliff Road and overlooking conservation land, this circa 1960 house was totally renovated to create a delightfully detailed classic Nantucket summer cottage. The paneled Living Room and Dining Room walls are capped by a soaring beaded board cathedral ceiling flanked by exposed beams. Responding to the owner’s requirements for the cottage to permit a casual summer lifestyle, there are numerous decks permitting easy access to the outdoors. 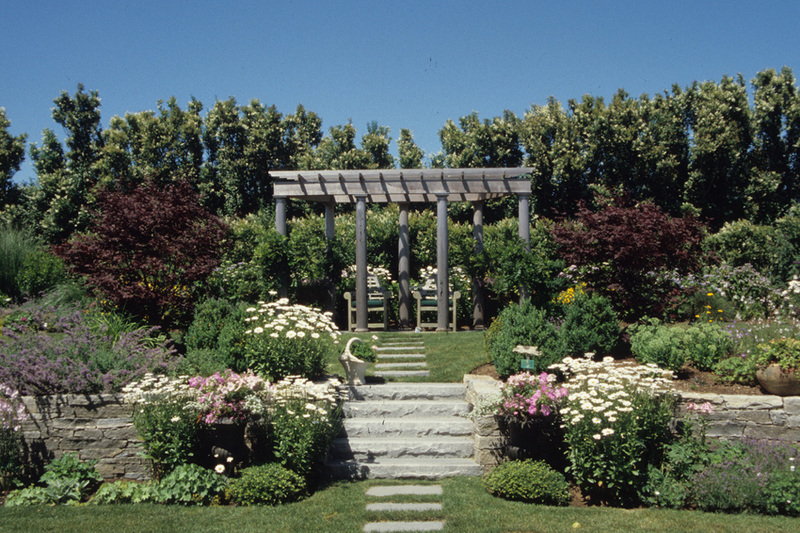 The entry deck is graced by a pergola; the living room deck overlooks the garden pergola; and the upper level guest bedroom deck provides views to the distant glacial moraine.